The horror, in Today’s Post. 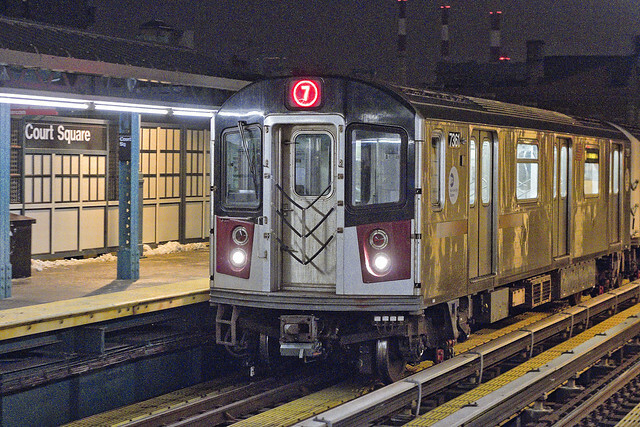 My post last Friday about the 7 line got me thinking about the Subways of Western Queens, which are referred to as “the horror” in conversations with Our Lady of the Pentacle. It was the 3rd of April, in 1913, that the City of New York purchased the (Steinway) tunnels utilized by what would become known as the 7 line from August Belmont, and in 1915 service started on June 22. They didn’t know it at the time, but those old timey types were creating the most photogenic of all of New York City’s subway lines. Everything looks terrible in Manhattan, and nobody would go there if they weren’t paid to do so. The interesting thing about the Court Square station, to me at least, is that – at least these days – it offers a free transfer between the IND and IRT systems. Downstairs, you’ve got the G, M, and E lines, and upstairs the 7. 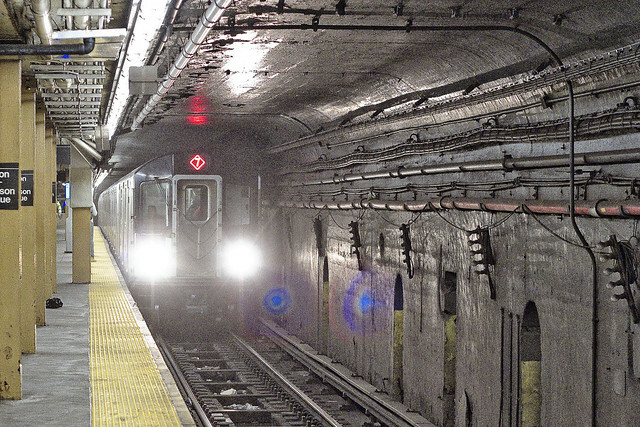 To continue with the arcane Subway knowledge – the G line became active in 1933, but it was known as the GG back then. 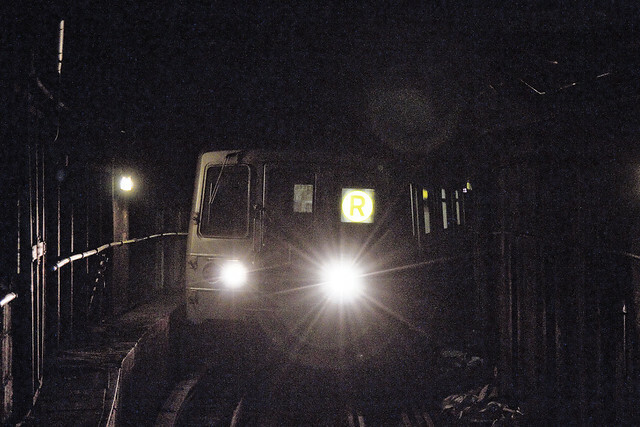 The E also came online in 1933, and it is one of the Subway lines that never sees the light of day operationally as its entire route is underground. 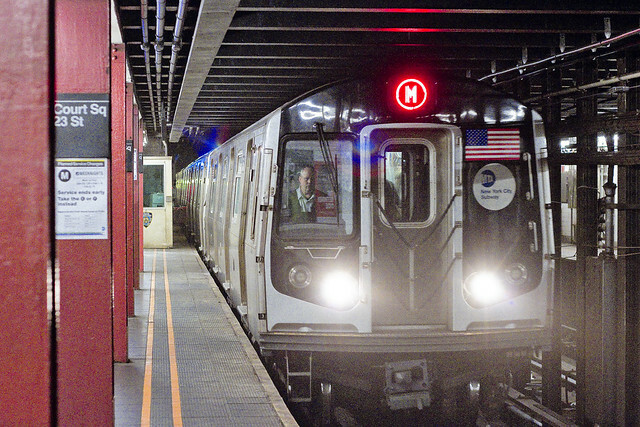 The M is something of a newcomer to the IND Sixth Avenue tracks, although the line was officially designated as early as 1914. 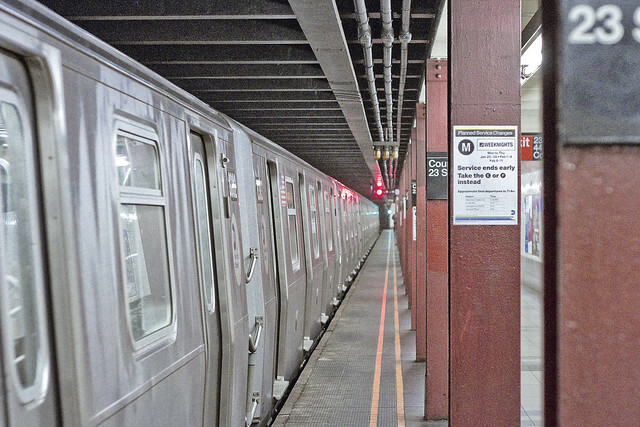 It wasn’t until 2010 that the line was routed into its current path mirroring the R service. It actually pisses me off, M wise, that if I wanted to go to Ridgewood – a mere five miles from Newtown Pentacle HQ on Astoria’s southern border – I would need to endure an hour and change long journey through the Shining City to get there. Before you inform me – yes – I know all about taking the R to Newtown Grand Avenue and catching the bus – I do it all the time.